A True Destination Point providing a perfect blend of Luxury, Recreation & Divinity- Magsons Resorts offers a choice of one and two bedroom Rooms & Suites, along with an elaborate array of services and amenities to satisfy the traveller with taste. Arranging your stay at Magsons Resorts is easy, We welcome your reservation request by phone, internet, personal visit and through travel agents. Travel Counter, Disabled Facilities, Conference Hall, Doctor on Call, Complimentary Newspapers in Lobby, Internet/Wi-Fi, Gardens, Airport Transportation, Sports, Business Facilities. H/C Water, Complimentary Newspaper, Desk, Internet Access, Attached Bathroom, Wakeup Calls, Air Conditioning Room, Safe Deposit Locker Facility, Bottled Water in Room, Cable/Satellite TV. Sports, Swimming Pool, Health Club. 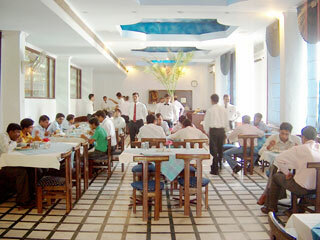 User reviews for "Magsons Resort Mathura"